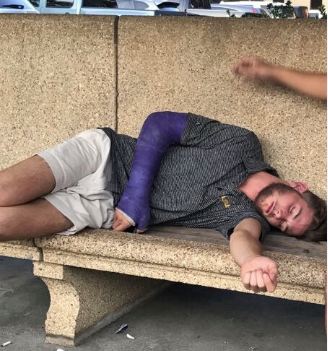 On Sunday the victim arrived at the LSU Police Department to report an aggravated battery that occurred on the LSU Parade Ground during a tailgate for Saturday's LSU football home game. The victim said he attempted to break up a fight when an unknown male subject struck him in the face with his cast. The strike caused the victim to lose consciousness and broke several facial bones. He was transported to Our Lady of the Lake Hospital where he was told he will need surgery to repair the damage. 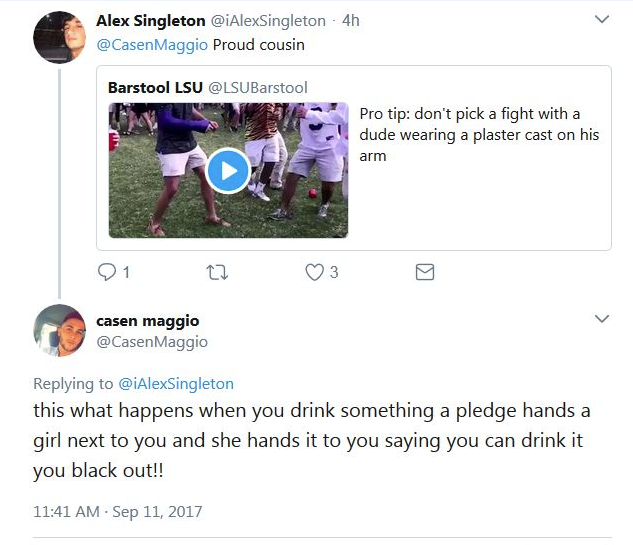 The male seen in the video, now identified as 18-year-old Casen Maggio, was later photographed while passed out on a bench on LSU's campus. 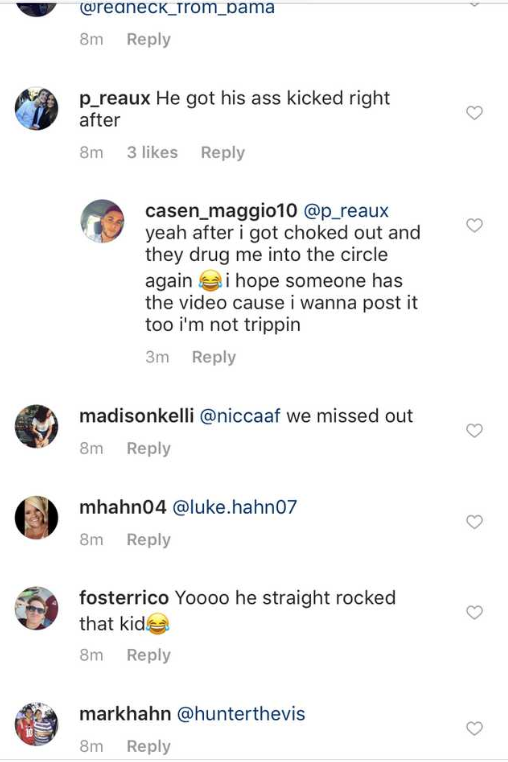 Maggio later took to Twitter and made light of the situation. Police reviewed several posts on social media. In the videos found online, Maggio was seen pushing several people. Maggio then approaches the victim and strikes him in the face. The victim can be seen falling to the ground unconscious. Maggio was arrested and charged with aggravated battery.